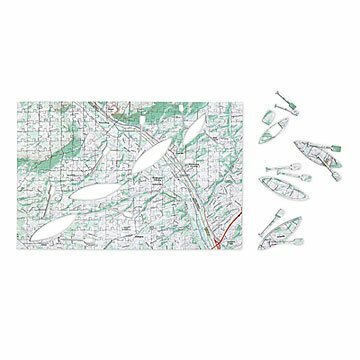 Celebrate your favorite place to have outdoor adventures with this custom map puzzle. Longing for fresh powder or a stretch of open road, but stuck inside? Embrace the great outdoors from your card table with this custom puzzle. Just pick a favorite place for open air adventures (like your go-to spot to pitch a tent) and one of four activities: camping, cycling, kayaking, or skiing. Some of the pieces are even shaped to represent the pastimes (cute little kayaks, for example). The 300-piece jigsaw puzzle is made in the United Kingdom of thick, quality-crafted wood pieces that snap together for hours of indoor fun.